The Locker Duffel is a great mid sized bag that fits inside a standard locker. Featuring an oversized logo design with word mark and team color accents, plus a second logo on the end, this bag will stand out from the rest. Measuring 15 x 10 x 12 inches, it has a large main compartment as well as a smaller front compartment, plus an adjustable shoulder strap and wheels to help you transport it from one place to another. 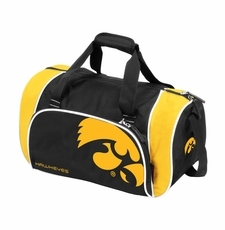 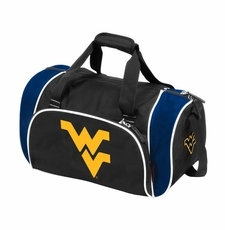 Fans can show their school pride when they travel with the Locker Duffel.